THIS REMOTE WAS PULLED FROM SONY LED TV, MODEL # KDL-48W600B, UNIT USED COMPATIBLE ALL MODEL # BELOW. 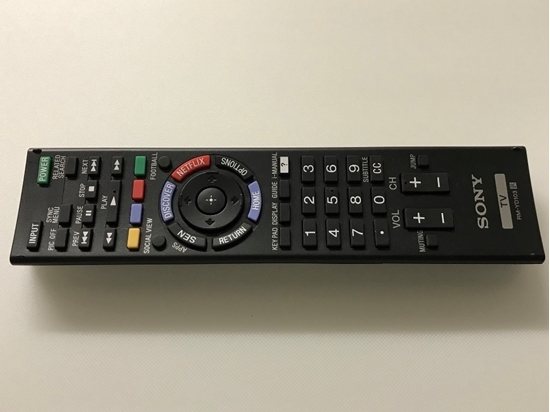 SONY 48" LED TV REMOTE CONTROL (RM-YD102, or RM-YD103) MAKE SURE UNIT FIT WITH YOUR TV BEFORE YOU'RE BIDDING. UNIT SHIPPING TO YOU BY USPS FIST CLASS MAIL.